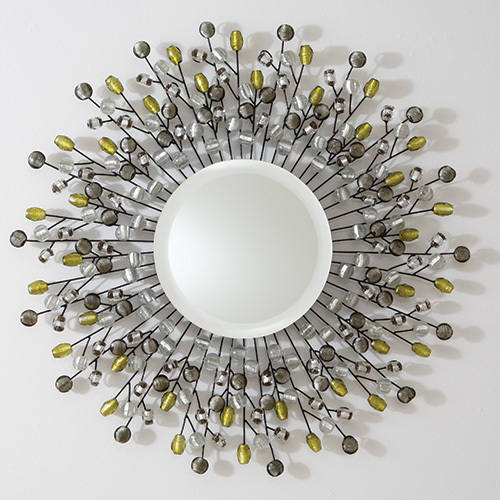 This Saturday I’m featuring “Splurge & Save” Sunburst Mirrors! I personally love sunburst mirrors. They are always a nice addition to a wall no matter what your style is. I even have two in the studio! One (as you come up the stairs) is more traditional in a gold finish and the other is being featured as the “Splurge” item below. My Splurge pick is from Global Views, a “to the trade” resource for furniture, accessories and other home decor products. 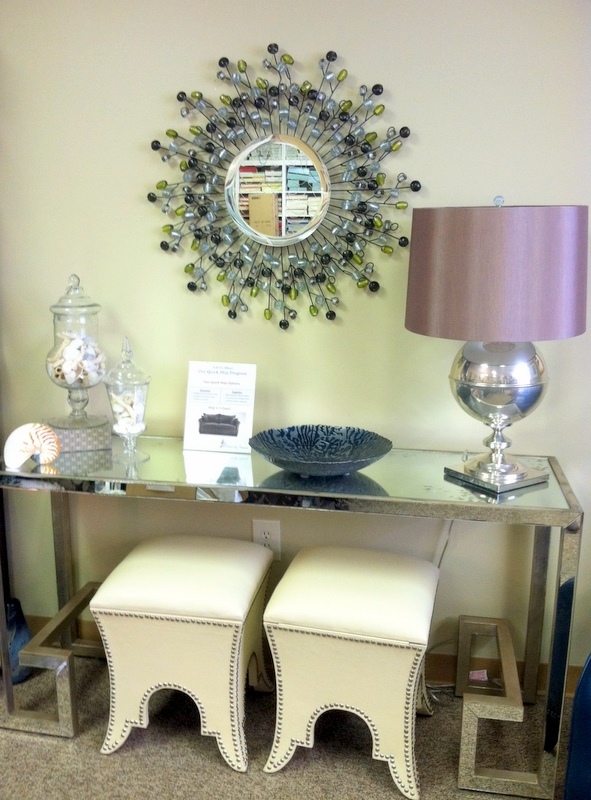 This mirror is in our studio hanging over a mirrored console and it looks beautiful! It was sitting around our office for weeks until Sarah and Alex hung it about two weeks ago. We were waiting for a good place to put it and eventually landed on the area above the mirrored console. My “Save” item is called the Diamond Mirror from Home Decorators. 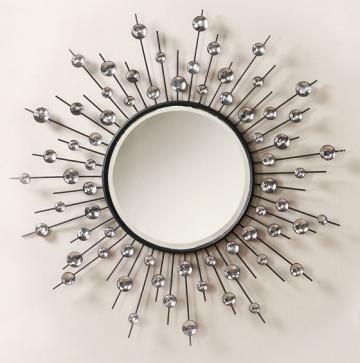 I like this mirror because it is about the same size and shape as my “Splurge” mirror above. It also has a similar, although simplified, fanning effect with longer and shorter metal stems. Do you have a “splurge” item that you would like us to research for you to find a less-expensive alternative? If so, email Alex at alex@decorbydenise.com and we’ll see what we can come up with.